During the past month, I discovered Corbin’s ”Mourn” – an album that has long been in the works, Corbin had previously been releasing music under the alias ”Spooky Black”. ”Mourn” is a terrific album, and we can’t stress enough that you should check it out. The album has a distinctively eerie tone throughout, as well as a unique vibe, where crisp production intertwines with the emotion of Corbin’s voice. This creates stunning slow jams which we rate highly, such as ”Mourn”, ”ICE BOY” and ”Hunker Down”. It is perfect for the winter weather, we will be heavily playing this album through December too. Here is, ”Mourn” linked below. At Number 4, we have OVO’s ‘Majid Jordan’. Signed by Drake in 2014, we saw early glimpses of greatness by the Toronto-based duo, with their EP, ‘A Place Like This’. However, in recent times, Majid Jordan have been quiet up until now. Two of their recent releases that have come to our attention, we love. Firstly, ‘Phases’, which was released in April earlier this year, brought a different type of style to what we have seen previously from the R & B duo. With ‘Phases’, Majid Jordan bring a more upbeat, dancehall feel – this was then followed up by a song released this month named ‘Gave Your Love Away’. Both tracks we highly recommend, they will certainly fit well in any playlist you may have as we enter the festive season. Here is some of their music down below. 21 Savage cannot put a foot wrong in 2017, he released his debut album ‘Issa’ earlier this year, and sold an equivalent of 500,000 copies of his album. Recently, he has, arguably, become one of the most relevant artists in the rap game. He combined with Post Malone on ”rockstar” – one of the most popular songs of the past year. Now, in the dying phases of ”rockstar’‘, Savage continues to reach peak relevancy, he has recently collaborated with wonderkid rapper ”Rich Chigga” on ”Crisis”, in this one track we see how any verse of his can stand out on any song he features in. His popularity is booming, expect to see and hear 21 Savage everywhere as we approach the new year. Here is ”Crisis” below. Toro Y Moi is definitely an artist slept on by many in recent years. However, with his recent release ‘Boo Boo’, we have been listening to Toro Y Moi on repeat here at Cultivation, hence he’s our Number 2 pick. With tracks like ‘Mirage‘ and ‘Girl Like You‘, he brings a new, fresh, earthy vibe to this year’s music scene. The talented 31 year old producer and singer mixes electronic music with a scent of R&B, Hip Hop and Indie. He is the perfect combination of genres, and his project ‘Boo Boo’ is definitely one you should check out, and is for sure, one of our favourites of the year. You can check out Toro Y Moi’s work below. 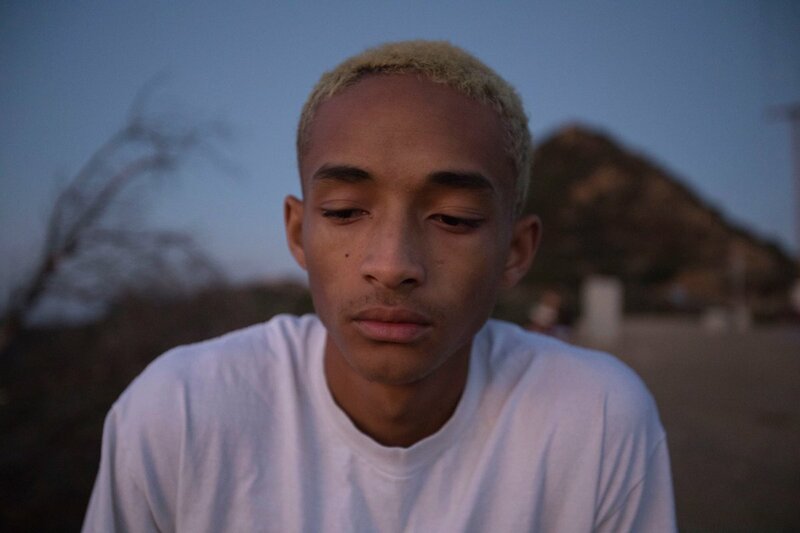 With his recent album release ‘SYRE’, Jaden Smith was able to shock the world this November, and is definitely worthy of our number one pick. ‘SYRE’ was originally a project nobody thought they wanted, but when it dropped, more and more people turned towards the release due to the quality of Smith’s work. ‘Icon’, ‘B L U E’, ‘Fallen’ and ‘Batman’ are stand out tracks. ‘SYRE’ is a star-studded album, and is definitely a contender for one of the best hip-hop albums of the year. With notable influences such as Childish Gambino, Kid Cudi, and Drake, no wonder Jaden Smith has released great music. If you haven’t already, you should check out ‘SYRE’, where we have left it down below.